Verbatim 8.5GB 8X Shiny-Silver Double Layer DL DVD+R’s DataLifePlus As low as $1.15 each! 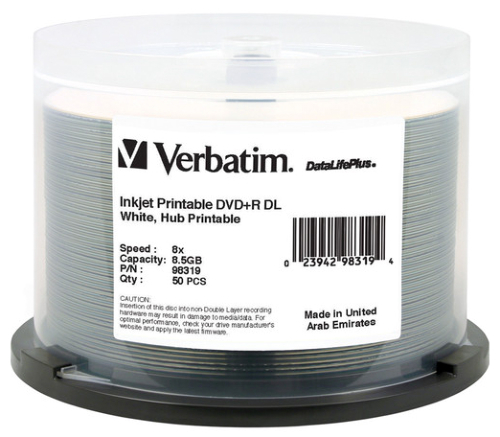 Verbatim 8.5GB 8X White Inkjet Hub Printable Double Layer DL DVD+R’s DataLifePlus As low as $1.20 each! Verbatim 8.5GB 8X White Thermal Hub Printable Double Layer DL DVD+R’s DataLifePlus As low as $1.25 each! MAM-A 8.5 GB 8X White Inkjet Hub Printable Double Layer DL DVD+R’s As low as $1.15 each! 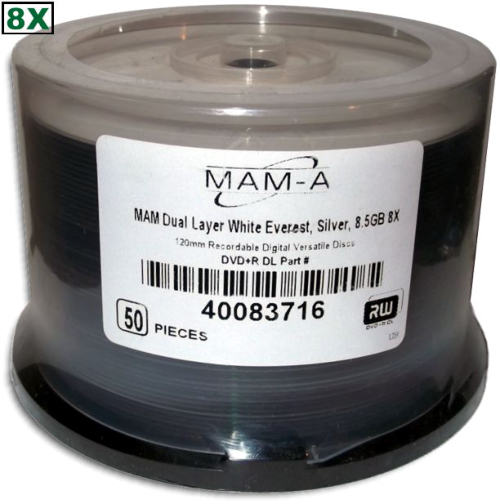 MAM-A 8.5 GB 8X Silver Inkjet Hub Printable Double Layer DL DVD+R’s As low as $1.15 each! MAM-A 8.5 GB 8X White Thermal Hub Printable Double Layer DL DVD+R’s As low as $1.20 each! Moser Baer 8.5GB 8X White Inkjet Hub Printable Double Layer DL DVD+R’s As low as 48¢ 39¢ each! Ridata 8.5GB 8X White Inkjet Hub Printable Double Layer DL DVD+R’s As low as 65¢ each! 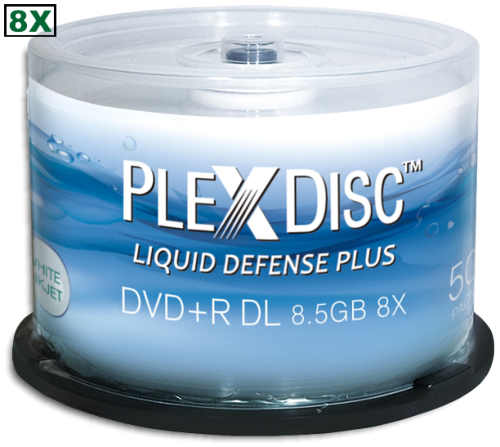 PlexDisc 8.5GB 8X Liquid Defense Plus Glossy White Inkjet Hub Printable Double Layer DL DVD+R's Water-resistant, glossy-finish printing surface As low as 89¢ each!